The sicklefin chub (Macrhybopsis meeki), is presently listed as a species of special concern, class B, by the State of Montana (Hunter 1994). Despite a petition to list the species as federally endangered in 1994, it is currently listed as a Category 1 species, meaning that there are sufficient data available to support a listing proposal (USFS 1994). Following the proposal to list as endangered, Montana Fish Wildlife and Parks (FWP) conducted a population survey in the Missouri River above Fort Peck Reservoir (Grisak 1996) and continues to collect data on the population in the lower Missouri and Yellowstone rivers (Liebelt 1996) in an effort to gain more knowledge of the species. The first observation of sicklefin chub in Montana was in 1979 in the middle Missouri River upstream of Fort Peck Reservoir (Gould 1981 and Gardner and Berg 1982). Until this time they were unknown to exist in the state most likely because of the lack of sampling effort in eastern Montana. At present, the distribution of sicklefin chub in Montana includes the middle Missouri River from Cow Island downstream to the headwaters of Fort Peck Reservoir (Grisak 1996), the lower Missouri River from the mouth of Redwater River to the Yellowstone River confluence (Liebelt 1996), and in the lower Yellowstone River, from Intake Diversion Dam to the confluence with the Missouri (Ruggles 1997). As of 1997, the known range of sicklefin chub encompasses nearly 280 kilometers of river in the Missouri and Yellowstone drainages (Figure 1). Figure 1. Distribution of sicklefin chub in Montana, 1990-1997. Population characteristics of this species are not well known, but it generally does not reach high densities like other chub species. In 1994 and 1995 Grisak (1996) reported capturing a total of 121 and 123 sicklefin chubs while sampling in the middle Missouri River for 3 months each year. The species reaches a maximum age of 4 years and generally becomes sexually mature at the age of 2. Spawning occurs in main channel areas of large turbid rivers which they inhabit. The spawning period is in the summer months and probably occurs over a wide time span, similar to other big river species. Young of the year sicklefin chub have never been collected and early life history remains a mystery. Although the species has been sampled from shallow water and rocky substrate, there seems to be a general preference for deeper water and sandy substrate. Unlike the sturgeon chub, all of the Montana captures have been from only the Missouri and Yellowstone rivers, indicating a strong preference for large turbid rivers. Although sympatric, there is no information that suggests this species hybridizes with the other member of it’s genus, the sturgeon chub (Macrhybopsis gelida). The major threat to the sicklefin chub is thought to be habitat alteration by dam operations and irrigation operations and development. The pools created behind dams have innundated riverine habitats and replaced the river with lake conditions, which is probably unsuitable habitat for chubs. Dams also may create unsuitable habitat for chubs in downstream waters by reducing turbidities and/or altering temperature and flow regimes. Fortunately it appears unlikely that any new dam will be built on the Yellowstone or Missouri rivers in Montana in the foreseeable future. However, water regulation at Fort Peck Dam and several other tributary dams continue to limit the distribution and abundance of chub populations in Montana. Irrigation projects are fairly numerous on the lower Missouri, Yellowstone rivers and and there are potential problems that could reduce sicklefin chub populations if proper safe guards are not provided. Further reductions in stream flows associated with irrigation withdrawls could degrade existing habitat for spawning and rearing. Because little is known of sicklefin chub spawning habitat requirements, consideration should be given to maintaining suitable flows in areas like island side channels which are fundamental spawning and rearing habitat for other big river species. None of the irrigation withdrawl structures in the Missouri or Yellowstone rivers are not screened and fish entrainment losses could be severe under drought conditions or with additional irrigation systems. The management of this species should involve routine monitoring (once every 2-3 years) of existing populations. The program should be designed to monitor population trends, range expansion or losses and collect additional information on life history and ecology. This could be conducted while sampling for other species. The lack of proper monitoring of these populations could lead to their demise by virtue of not recognizing if and when they are in jeopardy of becoming extirpated by any artificial or natural entity. Recommendations for operating reservoir and irrigation projects should be developed for improving and maintaining sicklefin chub populations and habitats in Montana. Grisak, G. G. 1996. The status and distribution of the sicklefin chub in the middle Missouri River, Montana. Masters thesis. Montana State University, Bozeman. Gould, W.R. 1981. First records of the rainbow smelt (Osmeridae), sicklefin chub (Cyprinidae) and white bass (Percichthyidae) from Montana. Proc. Mont. Acad. Sci. 40: 9-10. Hunter, C. 1994. Species of special concern list, updated. Montana Outdoors. September/October. Helena. Liebelt, J.E. 1996. Lower Missouri River and Yellowstone River pallid sturgeon study, 1994-1995. 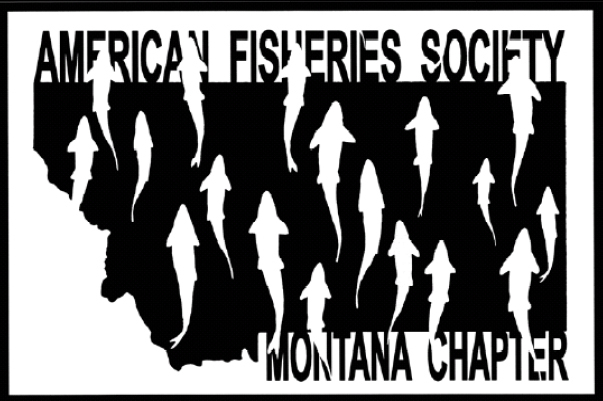 Montana Department of Fish, Wildlife and Parks. Helena. USFWS. 1994. 50 CFR 17 58996-59000. Endangered and threatened wildlife and plants; animal candidate review. Federal Register 59;219. Washington, D.C.